It is always nice to know which watch was the first, the thinnest, the most this or that… It is extra nice to have one of each. 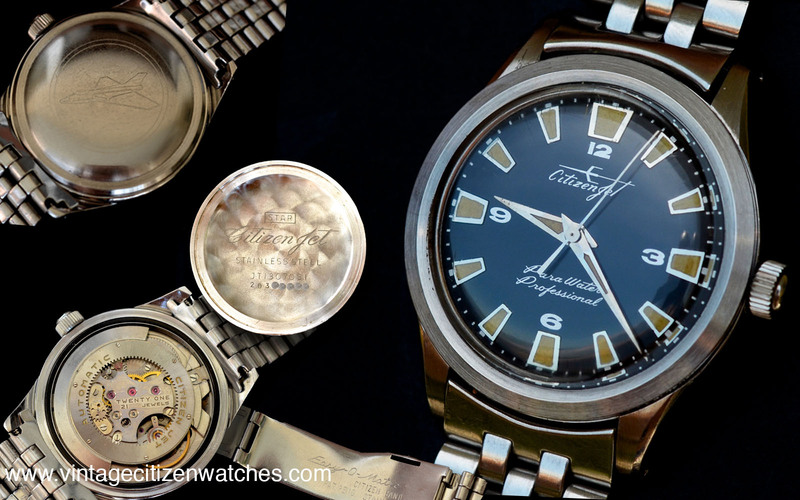 With Citizen that is not so easy because there are so many models! 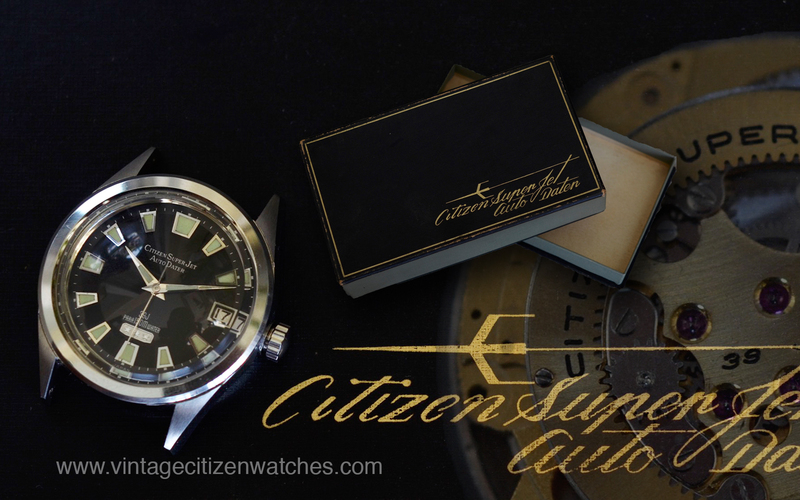 One of the most collectable lines is the one of the diving watches, so which is the first real diver that Citizen made? 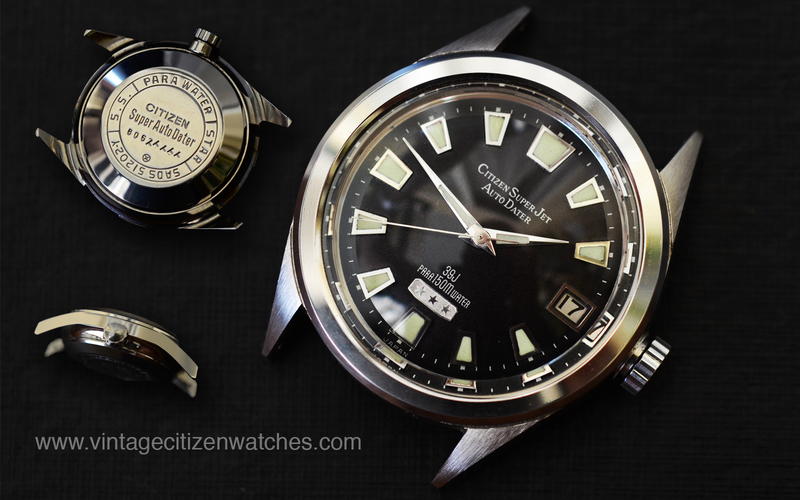 The first Japanese water resistant watch was the famous Parawater, launched in 1959. You can read about it HERE. But, that was not a real diver. 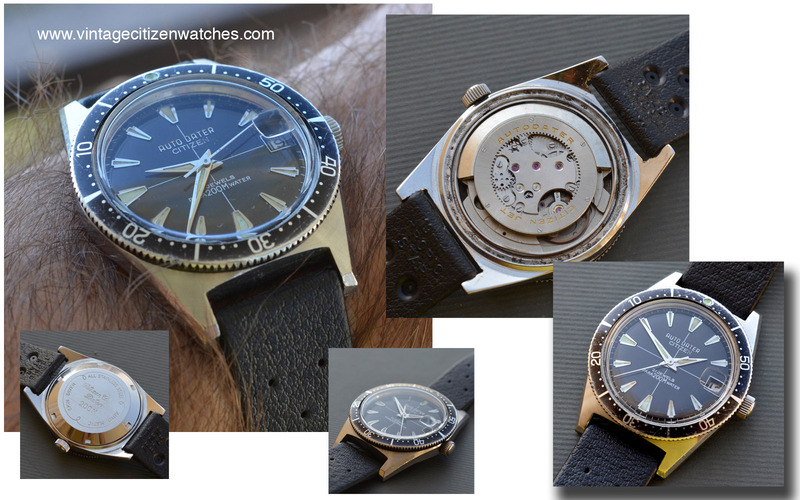 In fact the first diving timepiece was this one, the one in this article, the Jet Autodater para 120m water. 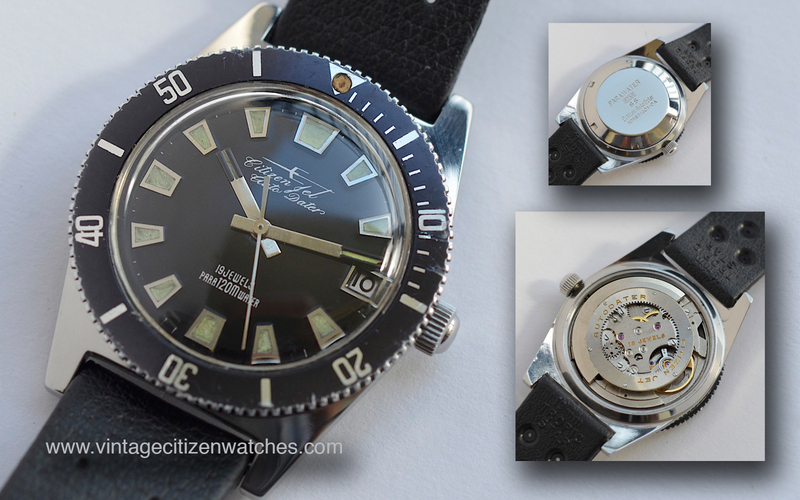 At about the same time another model was made, the Autodater 200m , the skin diver. Read about it HERE. Unfortunately the manufacture date can not be easily determined because there is no serial number but it is estimated to be somewhere around 1962 . Find out how to date a Citizen HERE. The case is made entirely in polished stainless steel, with a screw in case back and a bidirectional friction type bezel. The crown is non screw in. The water resistance is obtained by using a rubber O ring and it is enough for 120m. Not bad I would say. 🙂 The acrylic crystal is domed and gives it a vintage feel. The dial is black, with luminous large trapezoidal hour markers and steel hands. The hour and minute hand have a black tip with a luminous central line where the black part is. 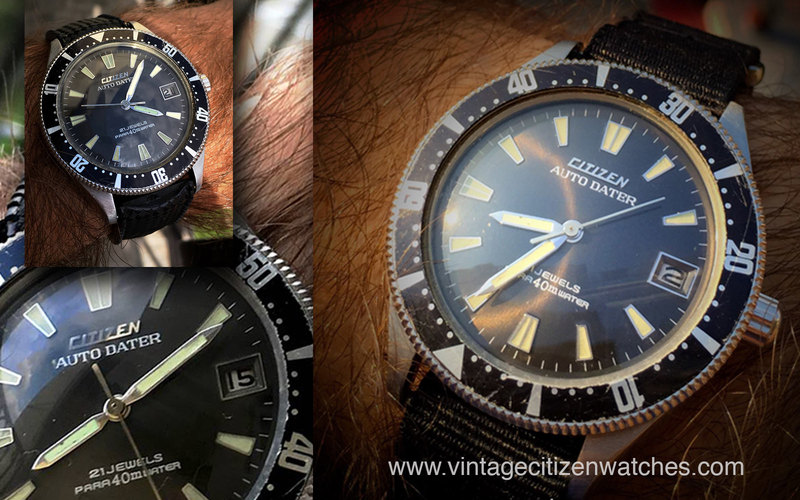 The black painted bezel has a luminous dot at 12. On the black dial we see the date, located in a traditional way, at 3 o’clock. 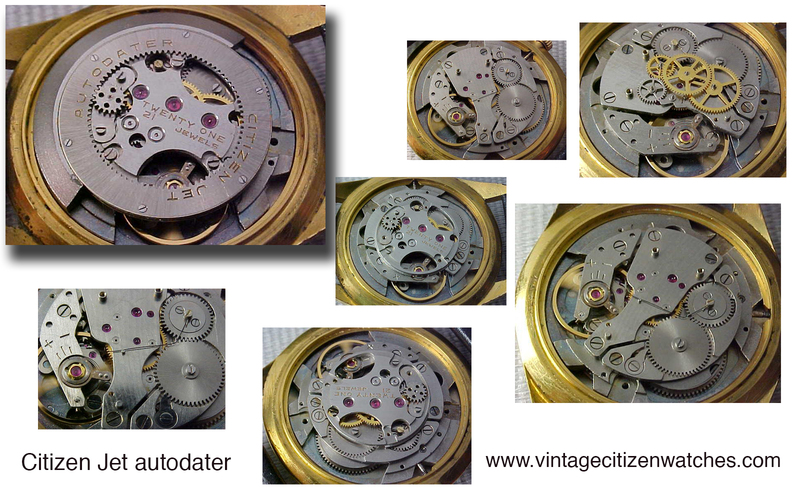 The movement is a 19 J jet caliber, no hand winding. The date changes by advancing the hands pass midnight and back to 21, and again midnight… It is not a quick set date. The seconds don’t hack. So… not a phenomenal movement but one of my favorites. (the Jet – with a ring rotor and you can read about Jets HERE) This one is one of the earliest types, with no hand winding. Just a tool watch with a simple, robust movement. Beautiful watch but such a difficult one to take a good picture of. 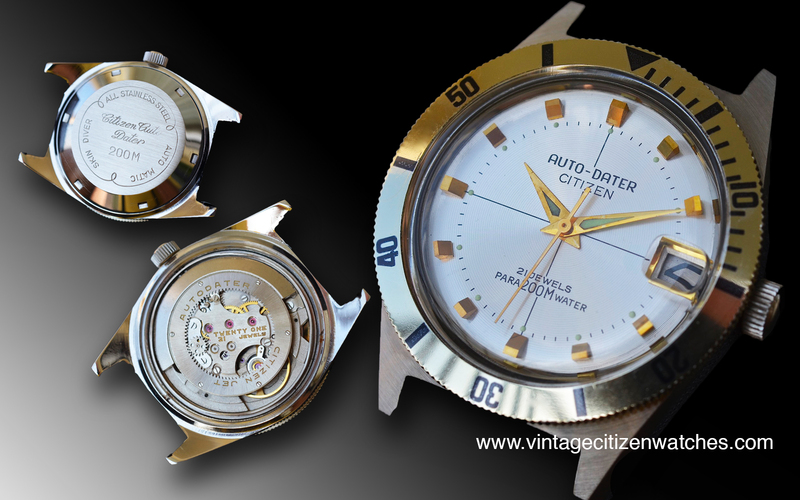 Here it is the Citizen Auto Dater para40mwater, reference ADOS 3001-DM, Diver! There are so many aspects of this watch that I like that I don’t know where to start from! 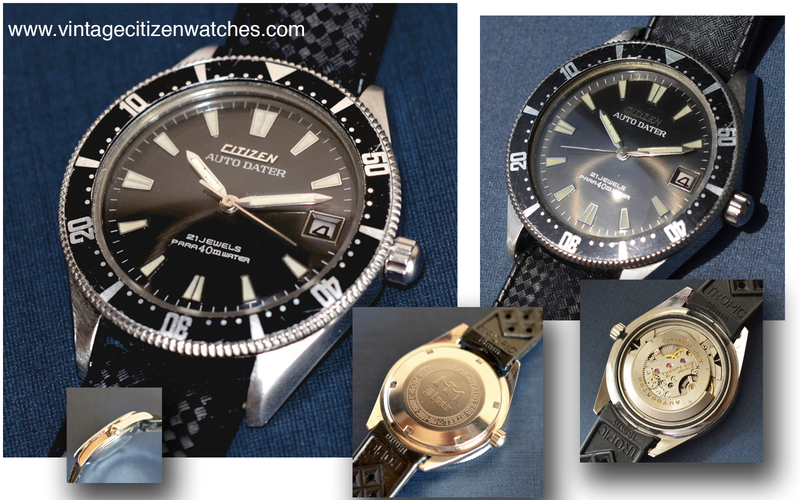 Let me begin by saying that even though Citizen marked it so boldly “Diver” on the case back it is water proof only up to 40m. The unsigned crown is not a screw in type but the engraved case back is. The entire case is made of stainless steel, polished, with brushed lugs on the upper part. The case back, as mentioned before, screws in and is engraved with the Eagle motif and “Diver”, also “40m water proof” and “stainless steel” The ADOS 3001-DM reference number is there too, but no serial so an accurate dating of the watch is, unfortunately, impossible. 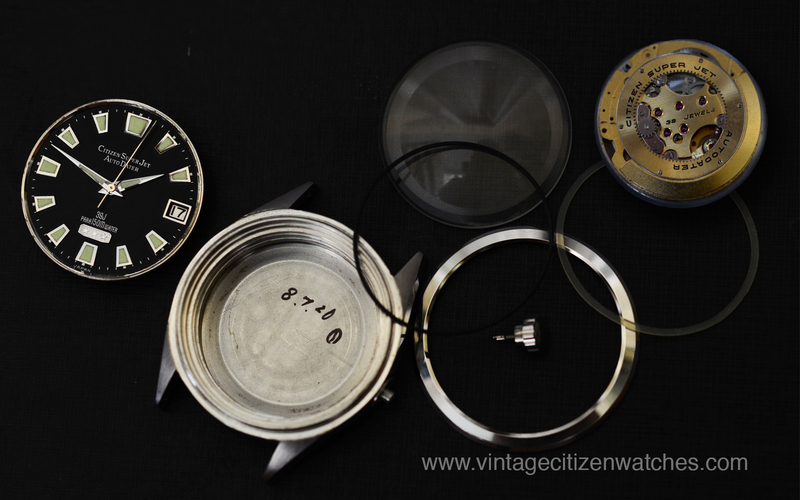 As a result of my research I date this watch around 1965. The dial is pure awesome! It is very dark satinated grey almost black. In bright light the sunburst effect is obvious but on low (normal) light it becomes matte pure black. Due to the domed mineral crystal the sunburst effect of the dial is enhanced and looks somehow… circular. The hands are simple, matching, with large luminous areas, the hour hand being shorter than the minute one. The sweeping central second hand is simple without any luminous material. The hour markers are applied and they glow in the dart too, just as the hands do. The bezel has no luminous dot at 12 but just a simple triangle. Speaking about the bezel, it is a bidirectional friction type and, as a particularity, it is a count down starting from 60, 50… all the way down to 10, 0. This way you can directly say how much time is there left out of an hour, not as usual the elapsed minutes. Opening the watch we see the beautiful jet movement (read about these movements HERE). It has 21 jewels and can be winded by hand too. It can also display the date, in the widow at 3 o’clock. 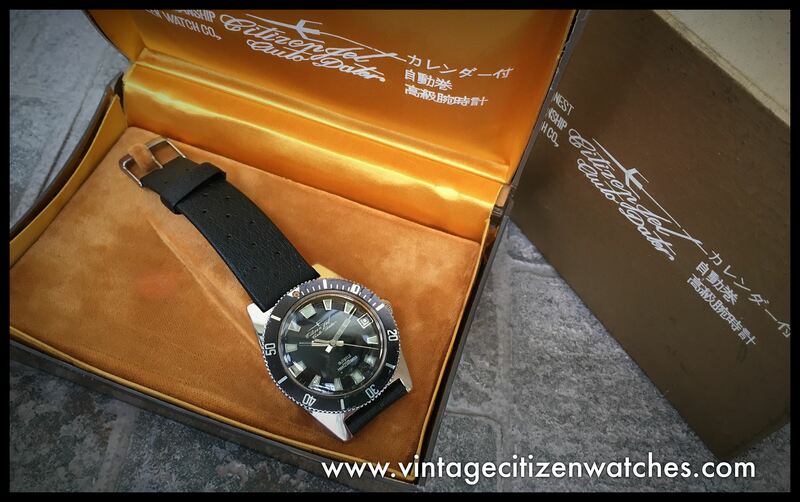 The strap in this case is a vintage Tropic but it also looks gorgeous on nato, leather or stainless steel bracelet. It is a beautiful piece, lovely addition to my diver collection and makes me so happy when I strap it on my wrist, especially on these sunny autumn days.